Looking at getting some adorable little feathered friends? Congratulations - raising baby chickens is one of the most rewarding experiences you’ll ever have. But, do not make the mistake of thinking that chickens of every age eats the same type of feed, because they definitely do not! 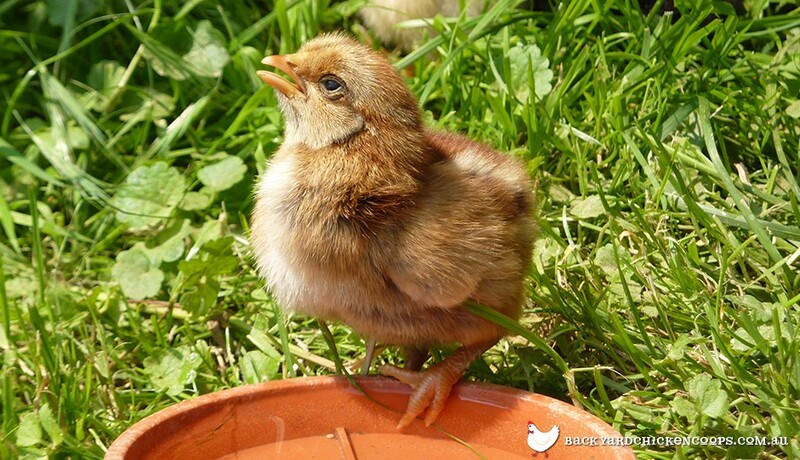 Baby chickens should have fresh, clean water available to them 24/7. This should be supplied to them through a special chick waterer, that’s designed to give them access to the water without there being enough room for them to fall in. It’s important to keep checking the water and ensure that no manure or bedding has been kicked up in to the water and thus has contaminated it - so you might have to change the water over quite often. But it will be worth it! The primary source of food for baby chickens is starter feed, which is feed specially designed to have the right nutrients growing chickens need. The anatomy of chick starter begins with a most necessary nutrient-protein. Next to water, protein, both plant and animal, is the second most essential nutrient for young chicks. This star body builder stimulates the growth of muscles, tissues and organs-it’s basically what makes your little ones grow. Feel free to offer your young chicks some small worms plucked after a spring or summer shower-nature’s homemade protein! Carbohydrates, fats, and vitamins and minerals make up the rest of the cast of nutrients needed by your growing baby chickens. Again, keep checking the starter feed to ensure that no manure or bedding has contaminated the food - fresh is best!